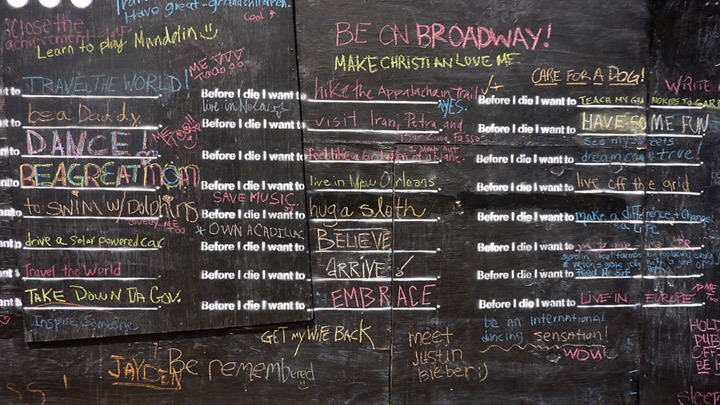 In March 2011, artist Candy Chang has launched a public art project inviting passers by to chalk their own ending to the sentence: “Before I die I want to …” on a disused building in New Orleans that has been transformed into a giant chalkboard. 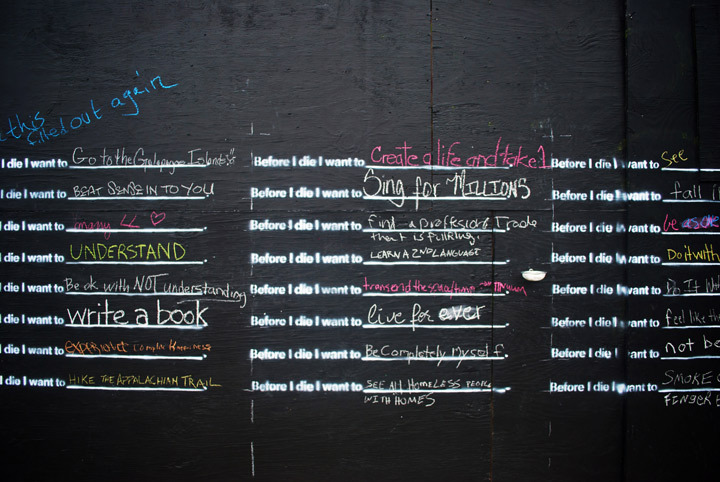 “Before I Die” started life as part of an exhibition called Freeriding, by Subtext Projects in a gallery before taking to the streets. 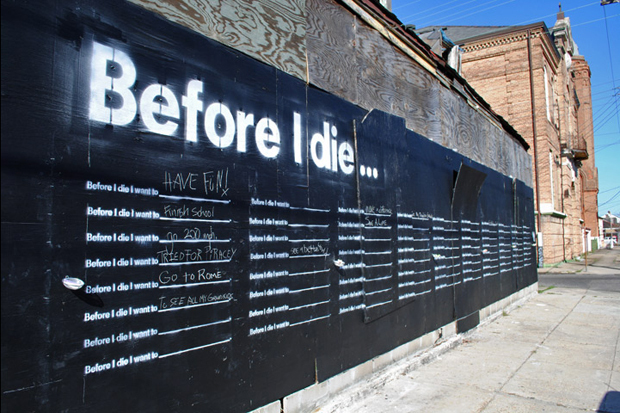 Chang selected a large, boarded-up corner building in New Orleans to transform into an enormous blackboard. 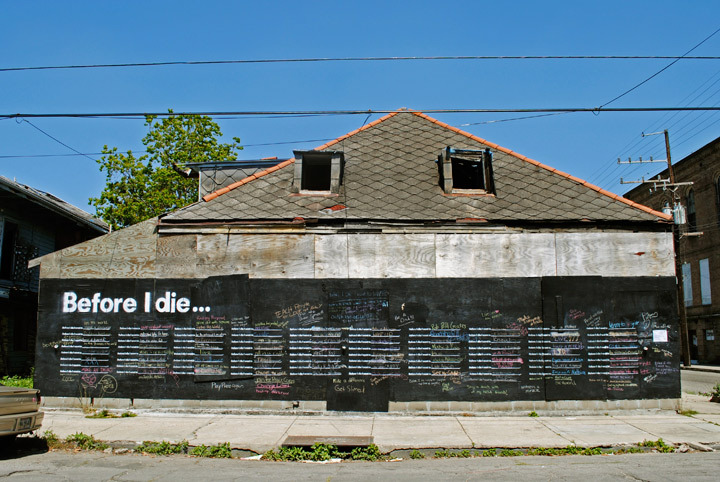 She recruited a gang of friends to help her to daub the building in chalkboard paint and then stencil the first part of the phrase over and over again onto each wall. 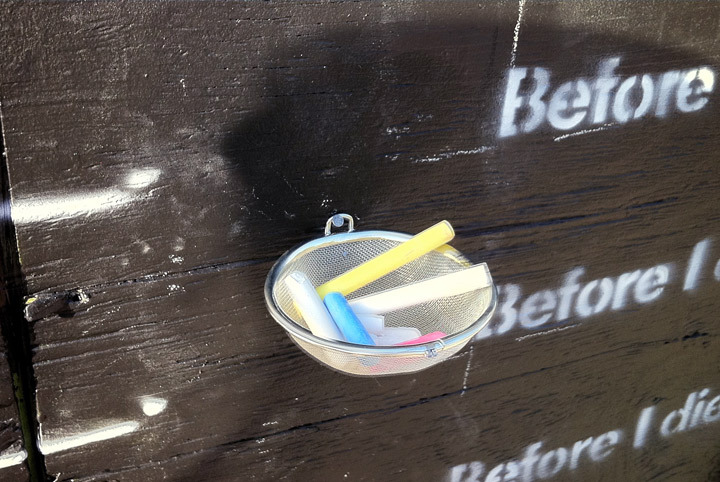 Chalk holders attached to the wall meant that passers by could immediately pick up a piece of chalk to add their own aspirations. Responses ranged from the humorous to the profound, including “be a YouTube sensation”, “go 200 mph” and “be completely myself.”Chang was “blown away” by the outpouring of responses. 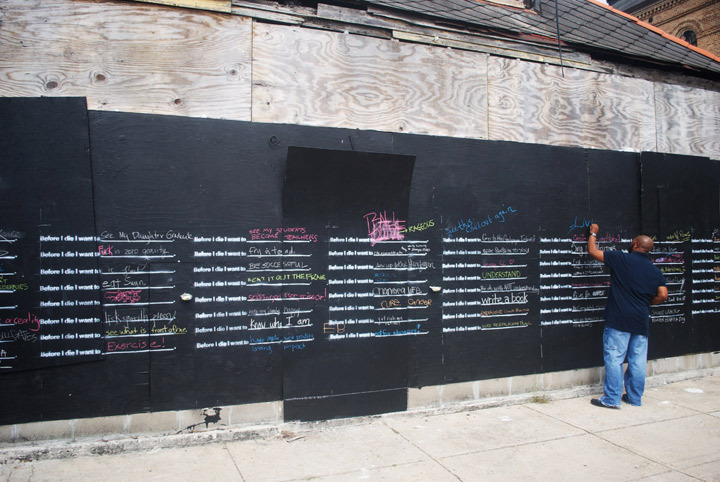 The entire wall was filled out within 24 hours. 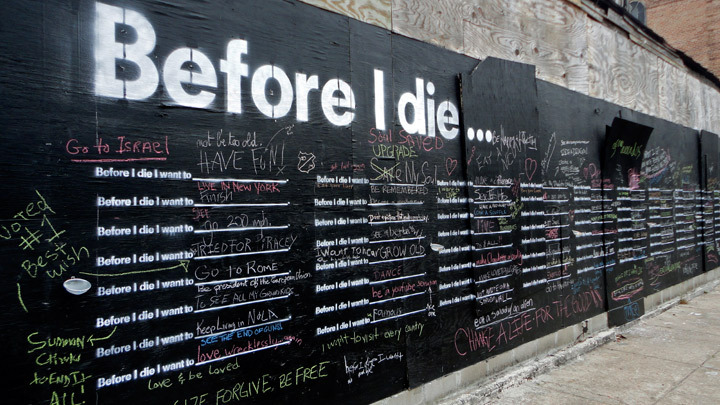 Some of her favorite responses include “Before I die, I want to eat a salad with an alien” and “before I die I want to marry this person,” accompanied by an arrow pointing to the last response.